Ligue 2 champions Metz ground out a point on their return to the top flight but Ligue 1 title hopefuls Lille will be frustrated by this goalless draw. 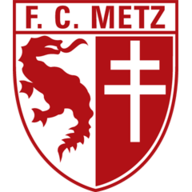 Metz had been exiled from Ligue 1 since 2006, even enduring a brief stint in Le Championnat, but won the second division by 11 points back in May. A first-round draw against the 2011 champions represents a promising start to life among the big boys and some resolute defending indicated that Metz will be hard to beat under coach Albert Cartier. 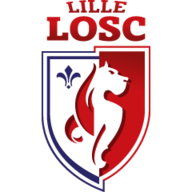 Lille dominated the first 30 minutes, going close through a Simon Kjaer header and Ryan Mendes before on-loan Liverpool striker Divock Origi was denied by goalkeeper Johann Carrasso. Les Dogues out to have been ahead at half-time, but Carrasso came to the visitors' rescue when Sebastian Corchia's corner caused panic in the six-yard box. From the restart Mendes progressed well up the left wing to carve out a shooting chance, but his effort was smothered by an alert Carrasso. Substitute Nolan Roux introduced himself with a sighter from 20 yards, the ball whistling wide of a post with Carrasso seemingly beaten. With two minutes remaining Roux pushed forward again but his volley from distance lacked any real conviction and left Carrasso untroubled. The final whistle soon blew at the Stade Pierre-Mauroy and Lille could have few complaints about the scoreline given their unconvincing approach to dealing with promoted opposition.